Today in Esperance is pretty overcast and extremely muggy, but still a very nice day. Shane took himself off to the Esperance races today, so I decided it was time for me to have a craft fix. Anyone who knows me well, knows that I am always doing some sort of craft. Crafting is the one thing that keeps me sane (no comment from the monkey gallery thank you). So my first stop was the local scrapbooking shop. As I walked in, the girl behind the counter wandered over to me and asked if I needed any help. All I could say to her was "no thanks I just need to touch the paper". She looked at me a bit strange until I explained it had been 9 months since I have wandered around a scrapbook shop. Needles to say I didn't walk out empty handed, I bought myself a card making kit, so I can make some more cards to send to those I love for their birthdays. Then it was off to the local Patchwork shop. Once again all I could say to the owner was say I didn't need help I just needed to though the fabric. Yet again I didn't walk out empty handed. Now those out there that aren't crafty will think I'm a bit crazy. But the crafters out there will know exactly where I'm coming from. My next stop was one of the most amazing businesses/shops I have ever had the pleasure of visiting. 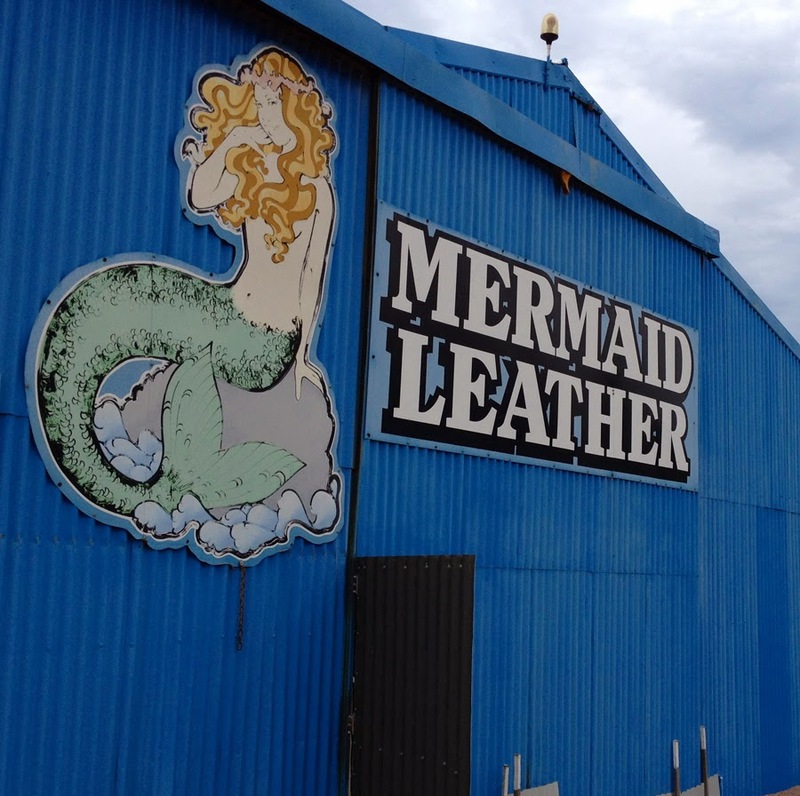 It's name is Mermaid Leather and they deal in a lot of fishy business. 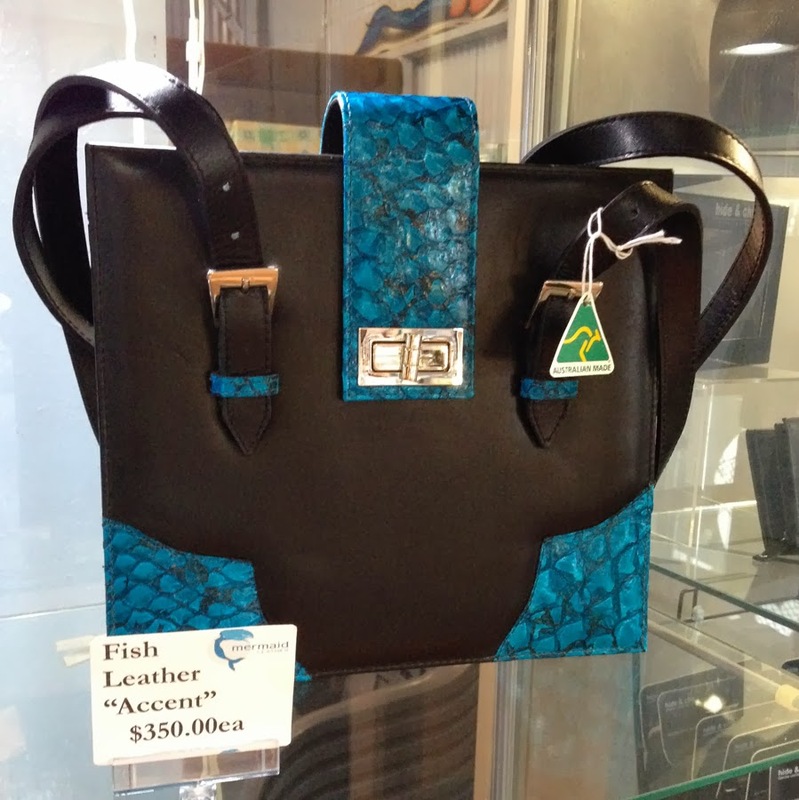 They basically get fish skins from various professional fishermen around this area and up north in Derby and then embark on the six week process of turning the skin into a beautiful leather. 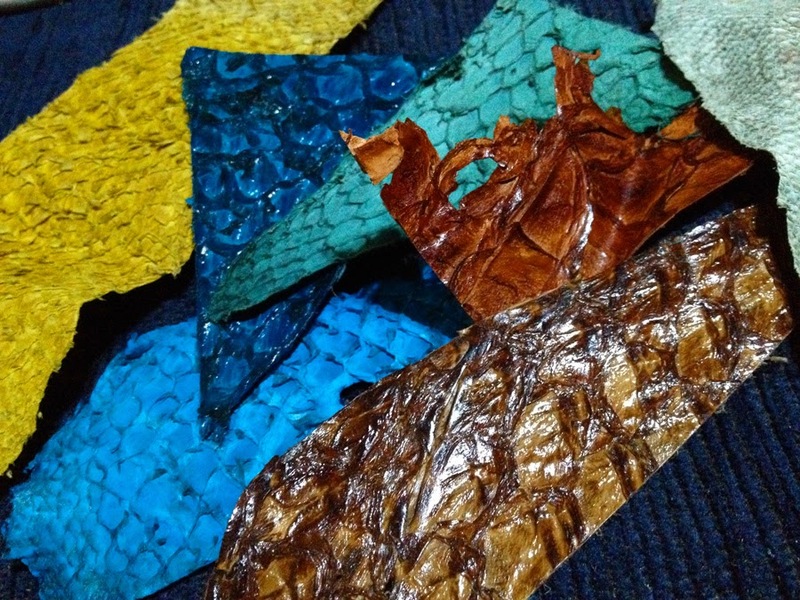 The fish leather from sharks is some 6 times tougher than cow hide of the same thickness. 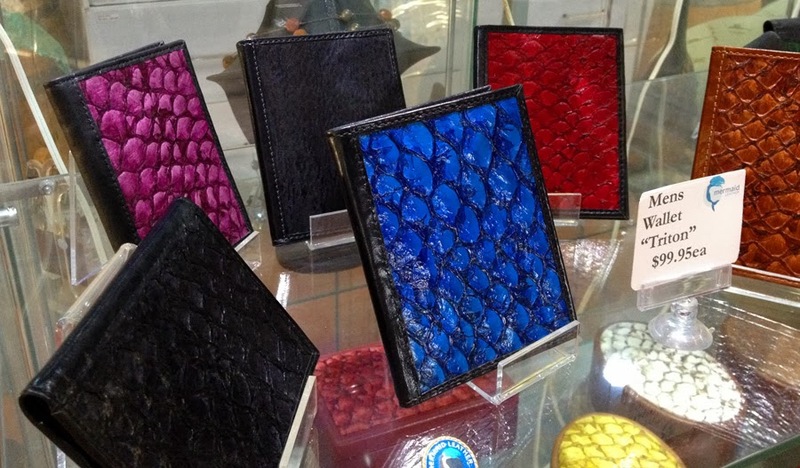 These amazing leathers are then turned into products such as beautiful handbags, wallets, pens, perfume pens, jewellery boxes, keyrings, bookmarks and other items. One of the brains behind this wonderful enterprise, Andrew McDermott gave a great rundown on how this whole process works prior to showing a DVD. 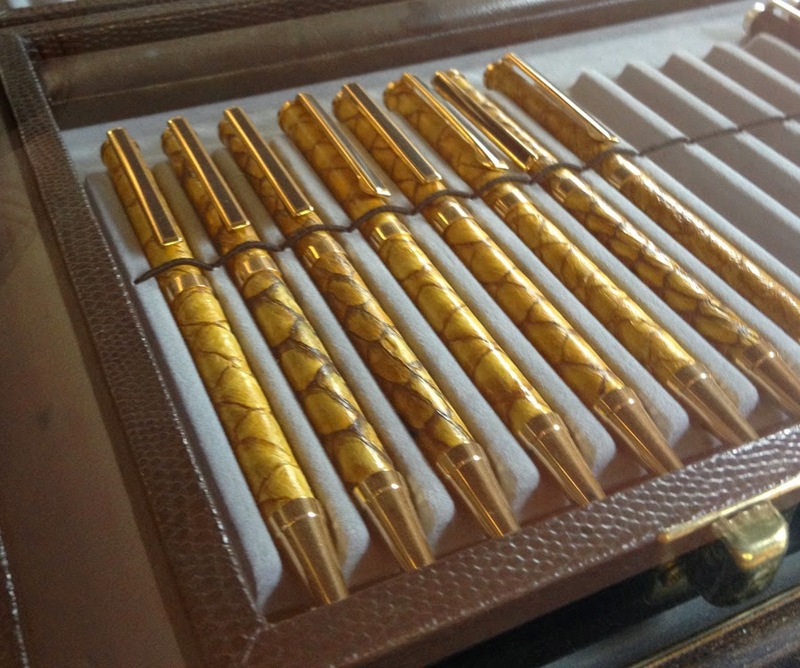 Once he told me they also process the scales and sell them as well as leather off cuts, my brain started going into overdrive thinking of how I could incorporate these intriguing items into my jewellery. So yes, I had to buy some and start playing. I really encourage everyone to check out the link I have to their website, it's really interesting. 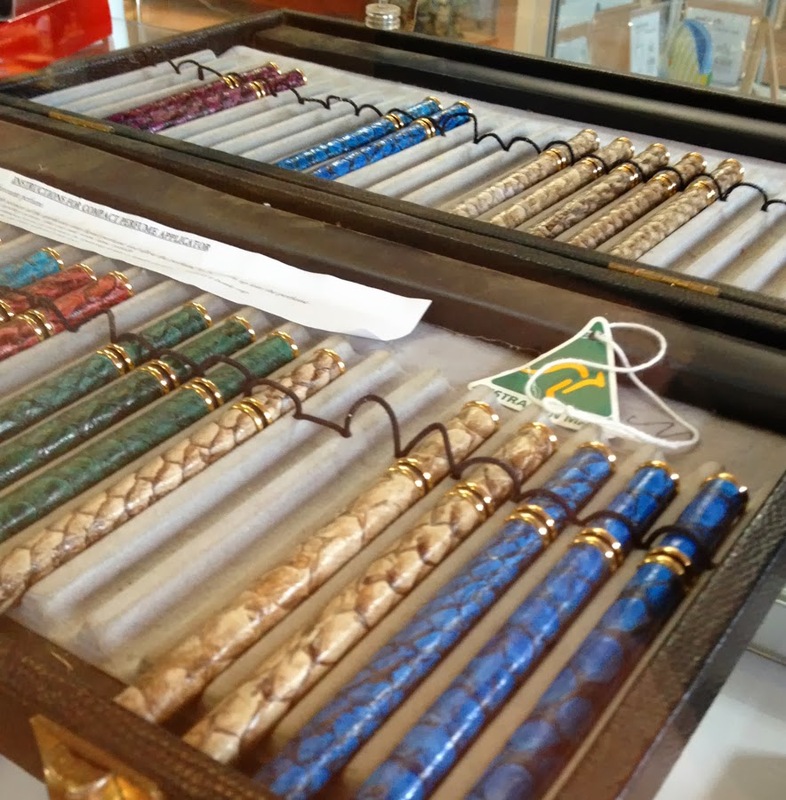 It's so good to find a company that uses something that would otherwise just be thrown away. 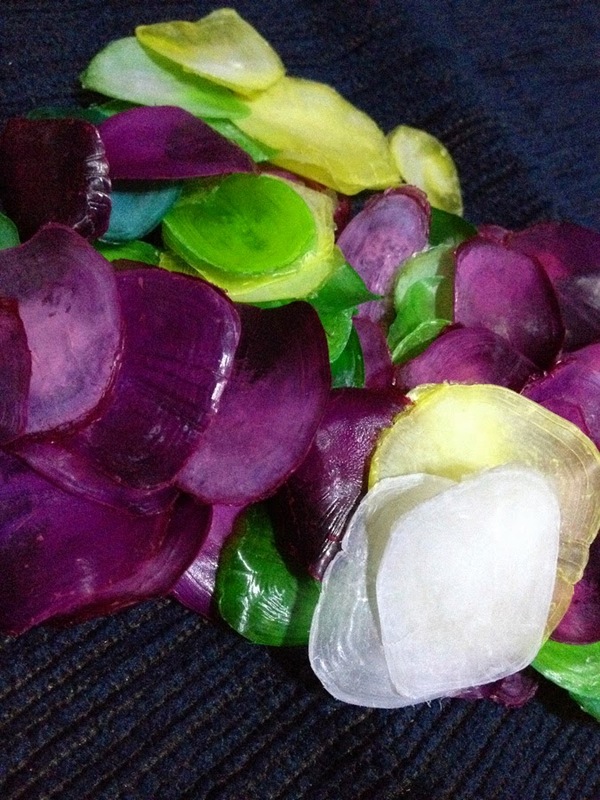 My Fish Scales.......what would you make out of these????? Some pieces of leather I bought. Now what will I do with them? ?